Net revenue for the quarter was up 6% to $443.6 million, while the company posted a net loss of $2.7 million compared to net income of $36.4 million for the year-ago quarter. Without the effect of deferred revenues for GAAP numbers, the company’s net bookings were up 20% to $577 million. The biggest contributors for net bookings were NBA 2K18, NBA 2K17, Grand Theft Auto Online, Grand Theft Auto V, the mobile titles Dragon City and Monster Legends, and XCOM 2. 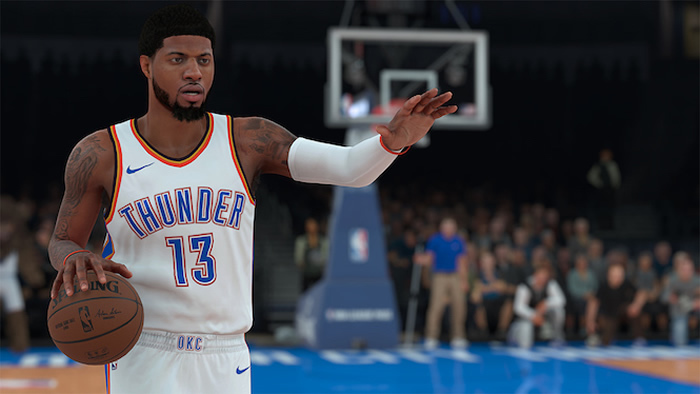 That recurrent consumer spending figure bears particular attention, as NBA 2K18 has drawn criticisms for its implementation of virtual currency. While the publisher adjusted prices on some virtual items in response, the game’s Metacritic user score continues to be hammered by players upset about virtual currency. As of this writing, the game has a 1.7 user score based on 496 ratings. “We want to delight our consumers, and we are trying to create a perfect balance between what the game has to offer and how consumers feel about it,” Zelnick said. “That’s our primary goal. Our primary goal is not monetization and engagement. Our primary goal is delight. So we take any feedback incredibly seriously. The feedback on Grand Theft Auto V has been more consistently positive. The game has now sold in more than 85 million units lifetime-to-date and Take-Two cited the industry-tracking NPD Group with the news that it is now the all-time best-selling video game, both in revenues and units, based on combined US digital and physical sales across PC, console and portable devices. Meanwhile, it’s stand-alone multiplayer component Grand Theft Auto Online continues to grow, posting another record quarter and leading the company’s title when it comes to recurrent consumer spending. While it may be tempting to consider GTA V something of a lightning-in-a-bottle success, Zelnick didn’t seem too interested in managing expectations for the company’s next time out.